Mexico is a beautiful country with a favorable climate, tropical forests and attractive coastlines. In fact, you may wish to visit sites that other visitors have visited and enjoyed. For example, if you like bird watching, you could drive south towards Sonora State to Rancho El Aribabi, and watch the wide variety of birds there and also other animals like the jaguar. Alternatively, you could drive to Baja and see the friendly gray whales. Then there are the turtles, the sharks, dolphins, manatees, hippos, and many more animals, found in varied places across Mexico. For this reason, you need to be driving in a strong vehicle that will not let you down in tough terrain. You may also need a buggy with you depending on the different sites you ultimately select. So, clearly, you will need to have vehicle insurance besides your usual personal or medical insurance because the vehicle is a major part of your tour. 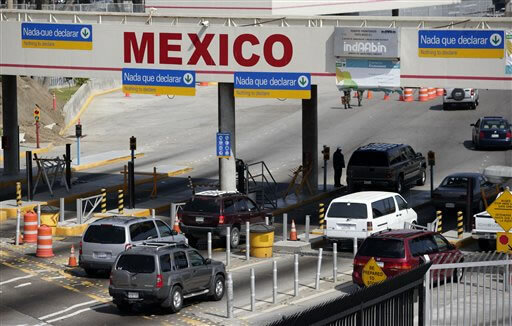 At the Mexican border, expect to complete a simple form showing why you are entering Mexico. You need to know that an insurance policy from the US or Canada will only cover you effectively for a few kilometers from the border – usually not beyond 50km. If you are not sure for how long you will be in Mexico, it is advisable to take out a 6mth insurance policy to avoid anxiety as days go by and your visit becomes more enjoyable. The 6mth car insurance policy costs about $150. There are many stores at the border points of Mexico but you will be better advised to buy auto insurance before you set off from home. Someone might expect buying at the border to be convenient but it comes with extra costs in terms of money and time. Only Mexican auto insurance is valid in Mexico irrespective of your country of origin or other insurance policies you hold. You can buy at the border or through the Internet but it is more expensive at the border. You can save on your Mexican auto insurance by getting your insurance from this MexInsuranceStore URL. You need to inspect your rental car carefully before you sign for it lest you get charged for damages that are not your fault when you return it. 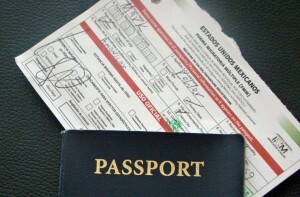 What will you need before you are granted a tourist card and a vehicle permit? Proof that the car is rightfully under your care. Your legal identification such as a passport. If you are newly married and therefore your passport and your driver’s license read differently as far as your name goes, have the marriage certificate with you. Once at the border, be observant. If the border light turns red, look out for some parking space. The customs official will, very likely, require you to park somewhere and answer a few questions, and possibly search your vehicle. If you are entering the country legally and you are not concealing any contraband, you need not worry. The other thing you need to have, if you want to traverse Mexico without a care in the world, is valid Mexican car insurance. Though sometimes I take a flight from Quebec to Rocky Point, most of the time I do drive when on long holidays with plenty of stopovers in US visiting my friends before I finally land in Mexico. I always book my Mexican auto insurance policy online while in US. Baja Norte can be mountainous. When you drive past Ensenada, you will encounter plenty of steep meandering road sections. You have to be careful not to cause an accident. Having full coverage Mexican auto insurance policy is the best way to safeguard yourself against liability and damages should an accident occur. During my December vacations, I always book a residential home and RV in Cabo San Lucas well in advance. Thanks to Mexican Insurance Store that my insurance needs are always taken care of in advance before flying out from Canada. What you would like most as you navigate towards your preferred holiday destination in Mexico is peace of mind. Yet, delays at the border point can disrupt that peace if you don’t have Mexican insurance in advance. Take your car insurance online and save yourself the heartache. Prioritizing safety makes sense for a frequent traveller. The roads are risky and so is the sea, and the only thing that matters is your Mexico insurance coverage. It is not easy to buy Mexican insurance at the border. You have to join the long queue and bring your patience. Additional fees are not friendly and the policies can be iffy. So buy your Mexico car insurance online before driving to Mexico. If a car owner is involved in car accident, he gets arrested by the authority with pending investigation. It’s frustrating to spend a vacation in Mexico only to be apprehended by a policeman. Your Mexican insurance is your best defense. It’s not confusing if you purchase Mexican auto insurance online. The process is easy and almost instant. Any concerns can be communicated online with well-trained customer service representatives. If you want to explore Mexico, visit border communities and see how they live. Just remember that you need to have Mexican insurance coverage. Inattentive driving can result to mishaps. So if you’re a pokemon buff, focus and condition your mind to have full attentive driving. Avoid getting swindled in the markets. Learning some haggling tips is necessary to get a reasonable price for your purchases.